The City of Oviedo was incorporated in 1925 when Andrew Aulin submitted a request for a post office and named the town after Oviedo, Spain. In those days celery and citrus were plentiful here. Celery is still an important industry in Oviedo, the farms of A. Duda and Sons are major employers. When driving through downtown Oviedo keep an eye out for chickens crossing the road. They are an honored Oviedo tradition. Sparrow Realty Group’s owners Brian and Ingrid Dodd lived on the west side of Oviedo for 15 years. When they lived there they enjoyed the Cross-Seminole Trail, various public parks, and the Townhouse Diner. Their preferred title company, First Service Title, is located in Oviedo. It is a growing city but has a country charm. Oviedo borders the University of Central Florida area, the southern neighborhoods house commuter students, college personnel and their families. To the west and north of Oviedo, semi-rural communities like Geneva, Black Hammock, and Chuluota are found. Winter Springs is directly northwest of Oviedo, and shares school boundaries with Oviedo. Oviedo has a country-feel with the convenience of modern life. 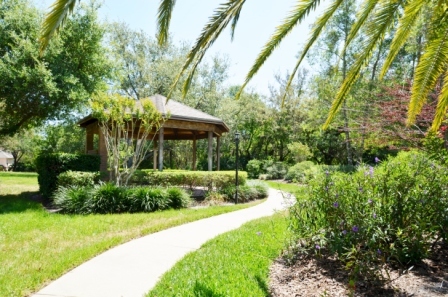 Mature trees, lush lawns, and public trail and park access give Oviedo’s neighborhoods a beautiful, natural feel. Single family homes are the most common in Oviedo, but there are several apartment complexes and townhouse communities. 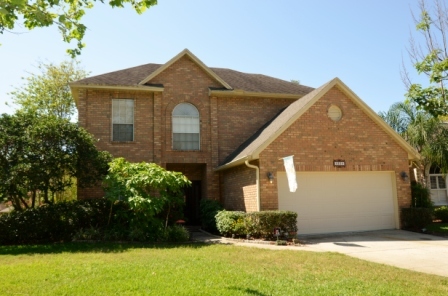 You’ll find home styles ranging from Spanish villas, to contemporary and neo-traditional. You may also come across a few old-Florida style homes known for their tin roofs, porches, and raised foundations. Currently there are four larger housing developments in construction to meet the demands of growth in Oviedo. Most streets are wide and spacious. There are lots of residential neighborhoods with lower speed limits. The average commute time to work is 29 minutes. The major highway closest to Oviedo is the 417, which runs in to Orlando. Oviedo schools have GreatSchool ratings of 9 and 10 (the highest rating is 10). They are part of Seminole County Schools, one of the top school districts in Florida.